MakeMyTrip, the Nasdaq-listed online travel company stated that international travel is its “big focus area” as Indians are more and more traveling to foreign countries. Furthermore, Kalra explained that growth in international travel will be higher as well as faster than the domestic part. This appears definite as 50 million Indian will be traveling to foreign countries this year against 23 million in 2017, according to the UN World Tourism Organization. Also, Indian tourists are one of the highest spenders per overseas travel in the world. The visitor spend is anticipated to grow from $23 billion in 2018 to $45 billion by 2022. 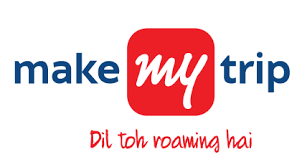 Also, MakeMyTrip hopes its share of hotels and accommodations to increase by the end of 2022 from existing 54% to around 70% of its total revenue. Additionally, the company makes profit of around 33% of its revenue from air travel, he stated that the remaining is contributed by redBus, travel insurance and experiences. Ibibo group, which obtained bus ticketing app redBus in 2013, collaborated with MakeMyTrip in 2017. Kalra stated that hotels and accommodations will contribute a bigger share of revenue in the forthcoming days since a lot of headroom exists in hotels. Still, only around 15% of hotels are booked online, so there is a big market to be tapped.